Red Texas Star (Ipomopsis rubra), known by other names such as Standing Cypress, Red gilia, and Texas plume, attracts humminbirds as easily as any Texas wildflower. 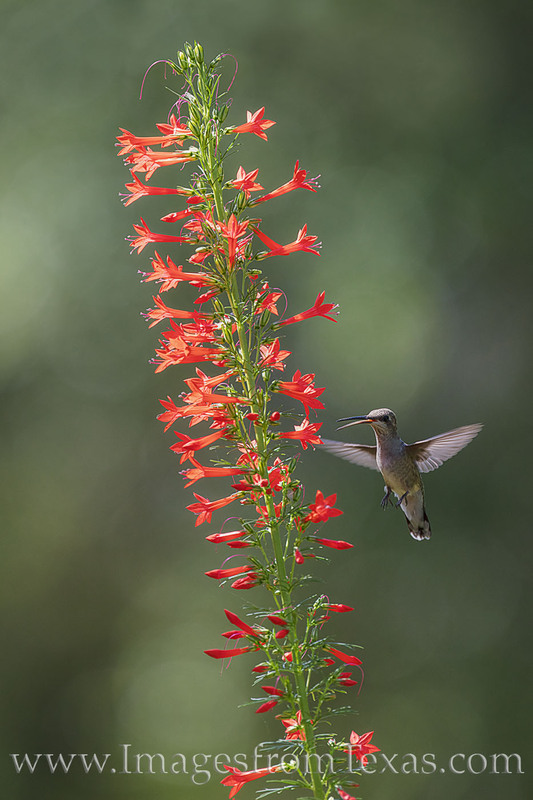 When these red tubular flowers show up in late Spring, the hummers are out protecting their claim to the sweetness this plant offers. Photo © copyright by Rob Greebon.